(or eleven good reasons to join the CUCC choir). 1. Singing releases endorphins and oxytocin. Singing can take your mind off the day’s troubles to boost your mood. 2. Singing improves mental alertness. Improved blood circulation and an oxygenated blood stream allow moreoxygen to reach the brain. This improves mental alertness,concentration, and memory. 3. Singing leads to a longer life. A joint Yale and Harvard study showed that for some, choral singing promoted healthy minds and hearts, which increased life expectancy. 4. Singing lowers your blood pressure. There have been several case studies revealing that singing can decrease blood pressure due to its calming and relaxing effect. 5. Singing is a workout. Singing from the diaphragm can strengthen your abdomen and back muscles, exercise your facial muscles, cause you to naturally sit or stand up straighter, and also improve your lung capacity which helps you to breathe a little easier. 6. Singing can widen your circle of friends. One of the unexpected health benefits of singing is that it can improve your social life. The bonds you form singing with others can be profound. 7. Singing boosts your confidence. Stage fright is common for new singers; however, performing well and receivingpraise from friends and family may be the key to eventually overcoming your fears and boosting self-confidence. 8. Singing brings people together and creates a sense of community. 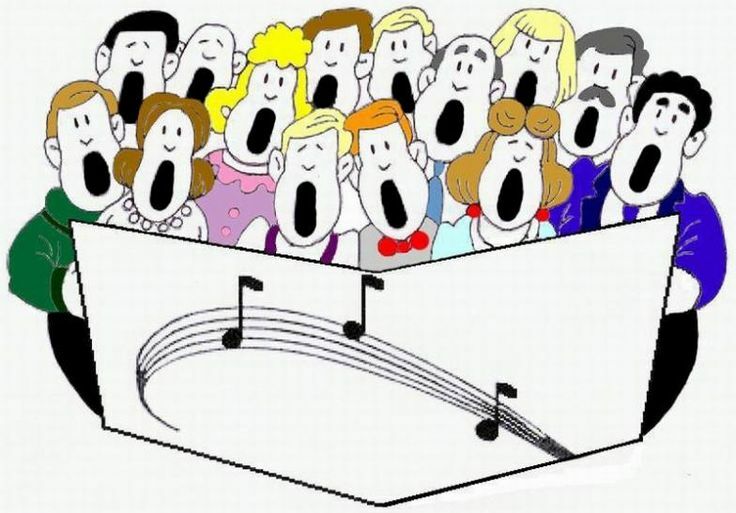 Some studies showed that singing in a choir decreased depression in many adults. 9. Singing can help patients of Parkinson’s disease. Numerous studies have shown how singing can increase the health of some patients suffering from Parkinson’s disease, which can improve vocal and swallowing control, and helppatients regain their balance. 10. Singing broadens communication skills. According to an article in The Guardian, singing to babies helps prepare their brains for language which can help prevent language problems later in life. 11. Singing can boost your immunity. Because singing can lower your blood pressure, cause you to have lower cortisol levels, and decrease your stress and anxiety, it can certainly have a positive effect on your immune system. Wow! I’ve adapted the above from various sources online, but I notice they have missed one of the most important reasons to sing with our choir: It is fun! It truly is common ground for all as we simply try to “figure it out” with each new musical challenge. Just ask anyone in the choir. And please consider auditioning us(!) by coming to just one rehearsal. We’ll begin again on Wednesday August 22nd, 7:00-8:30 in the choir room.